After 56 years in the public eye, Spider-Man is more popular than ever, with no signs of slowing down. In the next twelve months alone, we will see Tom Holland don the web slinger for a third and fourth time in both sequels to Avengers: Infinity War and Spider-Man: Homecoming. Next to this, Miles Morales will take the spotlight in a brand-new animated flick—Spider-Man: Into the Spider-Verse—and Insomniac Games will release one of the most highly anticipated games this generation with Spider-Man, exclusively for the PlayStation 4. 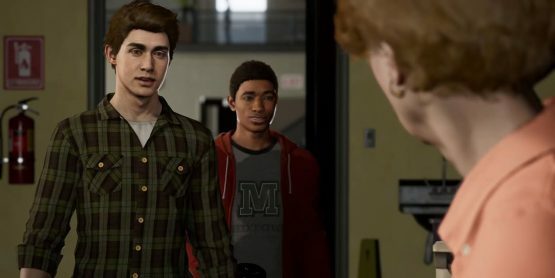 It’s a momentous step for Peter Parker as he steps into becoming the new face of PlayStation. With early previews being glowing, many are hoping Insomniac and Spider-Man will have a close relationship for many years to come. 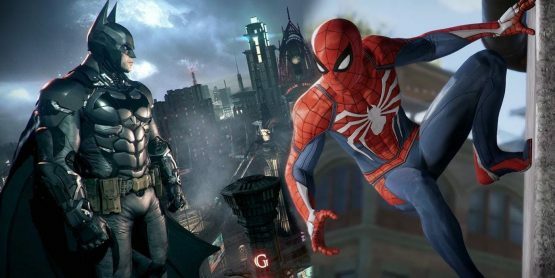 Insomniac themselves are clearly setting high expectations, as they hope to emulate similar success that Rocksteady achieved with the Batman: Arkham series. Creative director of the project, Bryan Intihar, recently spoke about the company’s admiration for the trilogy by saying, “Rocksteady redefined the quality of superhero games and we want to be at their same level.” A positive critical reception besides large sales numbers are obviously two of Insomniac’s main objectives, but long-term, where does the studio and Spider-Man brand aim to be in five years’ time? 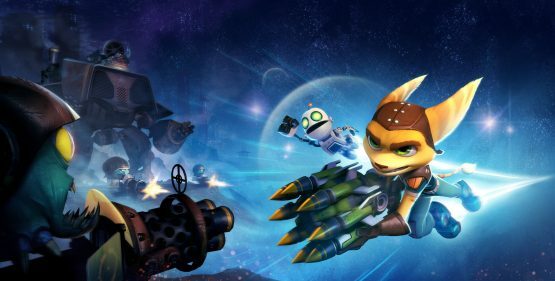 Looking into Insomniac’s history, we can see the developer has had three IP that have spawned numerous sequels (mostly trilogies): Ratchet & Clank, Resistance, and Spyro the Dragon. Taking what happened with the Arkham trilogy (not counting WB Games Montréal’s Batman: Arkham Origins), we can easily deduce that replicating this proven format would be the smart go to: three games and leave knowing you have created a legacy for not only the company but for the character itself. There are few superheroes that have held their popularity as well as Batman, and Spider-Man is one of those heroes—if not the hero. Clearly Spider-Man is a big deal. Sony realizes that. Therefore, Sony’s relationship with Insomniac as a second-party studio may see them act in a more controlling manner. After all, Spider-Man is their crown jewel, and if his cinematic history has done anything, it’s shown that Sony doesn’t like leaving the character too far out of reach. Insomniac’s vision for the Spider-Man property will likely align with what Sony has planned. Remember, Sony is hoping to kick-off their own Spidey-verse with Venom releasing this October, before supposedly moving onto multiple other projects that are in the works. Black Cat, Silver Sable, Kraven the Hunter, Mysterio and Morbius, the Living Vampire are all rumored to enter pre-production in the next couple of years. Who’s to say Sony wouldn’t like one of these properties ushered in to the video game landscape as either a main villain or secondary protagonist—along a similar vein of what happened with Ultimate Spider-Man. 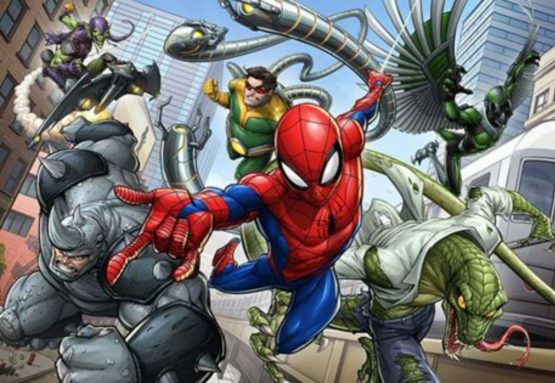 Alternatively, Sony has always been desperate for the Sinister Six to make their debut. One of their biggest failures (per The Amazing Spider-Man) may have cautioned the sextets arrival in cinema; however, for video games, it could be another story altogether. Trailers so far have shown Electro, Vulture, Rhino, Scorpion, Mister Negative, and Norman Osborn, all alive and kicking in the city. The collective group seems to be on the fringes of forming the Sinister Six, so depending how they’re laid out, we may see a more advanced role further down the line. On the other hand, there is one anti-hero whose popularity is not far off the wall crawler himself. A certain someone with a movie and possible franchise in the works. Would it be brave or foolish if we ended up seeing Venom take the spotlight for Insomniac’s hypothetical sequel? Sticking with Sony, Spider-Man is undoubtedly the new face of PlayStation after Nathan Drake and the Uncharted series wrapped up back in 2016. Since then, Spider-Man has been at the fore-front of all PlayStation media—even when no title was given. May, 2016 saw Drake depart. Following this, that very next month, Spider-Man was revealed to the world in his first appearance at E3. During its nine-year span, Uncharted released four games for PS4 and one for PS Vita. God of War was originally a trilogy before a heap of spin-offs and finally a reboot earlier this February. The Last of Us Part II has already begun full production and is expected to receive a third installment to tie things up. Going back to the early days of the PS1, their main man Crash Bandicoot earned the same treatment. Sony likes to invest in their key products and Spider-Man is shaping up to be their biggest asset ever. The other side of the coin is that Insomniac could have other ideas for what the studio wants to develop after the dust has settled on Spider-Man. They don’t need an all eggs in one basket scenario—despite Spider-Man being pretty much guaranteed to strike well with sales, as long as the end product isn’t abysmal—and would rather concentrate on developing their own IP. Games to ponder that may be released intermittently in-between Spider-Man releases or instead of, are: follow-ups to 2016’s Ratchet & Clank, a big hit both critically and financially; Xbox exclusive Sunset Overdrive, which garnered rave reviews but never found a big enough audience; or even fan-favorite Resistance could see a reboot for a new generation. Insomniac is not short of ideas and will be using Spider-Man to help catapult the studio’s name into the stratosphere. Could Insomniac Games be as recognizable to the public as say Rockstar? They sure hope so. Another point of contention is whether Peter Parker will be the one under the mask next time around? Miles Morales (known for being the second Spider-Man) has a clear presence in this game, leading many to speculate if he will end up undertaking the role by the time credits roll. It would be a ballsy move to say the least. Executed right though, and we could be talking about this moment for decades. For the near future, downloadable content has already been confirmed to be in the pipeline, with three additional chapters due to take place for Spidey. The expansion named “The City That Never Sleeps”—that arrives as part of the digital deluxe and collector’s edition—is expected to feature new suits, gameplay content, and interestingly, new villains. Reportedly (via Reddit) the first chapter of the expansion is called “The Heist,” and will see Black Cat enter the fray in the backdrop to a museum. If true, this does play into the idea of Sony wanting to increase the credibility of characters like Black Cat for future installments, whether that be in the video game or cinematic universe. Furthermore, this lends itself that Insomniac will look to support the game for at least twelve months post-launch, if not longer. During these five years, it’s fair to say that nothing will stop Spidey’s rise to dominance. It’s easy to imagine the PlayStation 5 getting into full swing by the time a sequel rears its head. Whether that be a direct continuation, a team-up with other superheroes, or a different character spearheading the campaign, Peter Parker won’t be far from the battle. Comprehensively we can agree, kicking off a new console generation with Spider-Man at the helm is never a bad thing to bring in new players. Go get’em, Tiger.